Um, yeah. 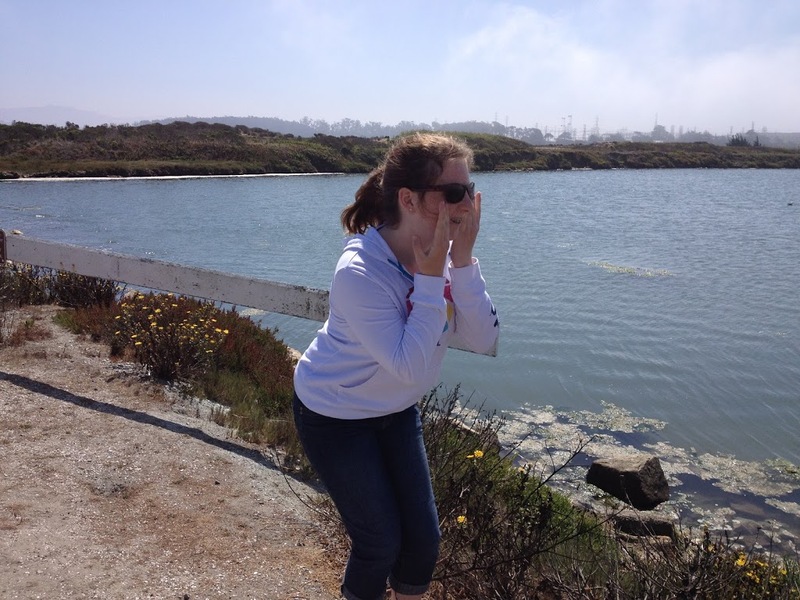 Katie pretending to be a fish. Don’t ask. I am a fan of Kickstarter. If you don’t know about this organization yet, you owe it to yourself to learn more. It’s a giant portal that hosts projects asking for donations from folks from all over. I have helped three projects so far and I love the process. It’s grassroots, personal and powerful. An organization puts their “ask” together, makes their case and sets a goal. Funders – like you and me – pledge a donation and if they make their target in pledges, we are all in. We pay. If it doesn’t happen, the organization regroups and figures out their next steps. It’s entrepreneurial, high energy and a lot of fun. It’s a cool way to be “in” on a project without having to do a lot of work. Which brings me to my “ask”. Please consider a donation: it’s all about the otters. Those are the otters down there. You can’t see them all. 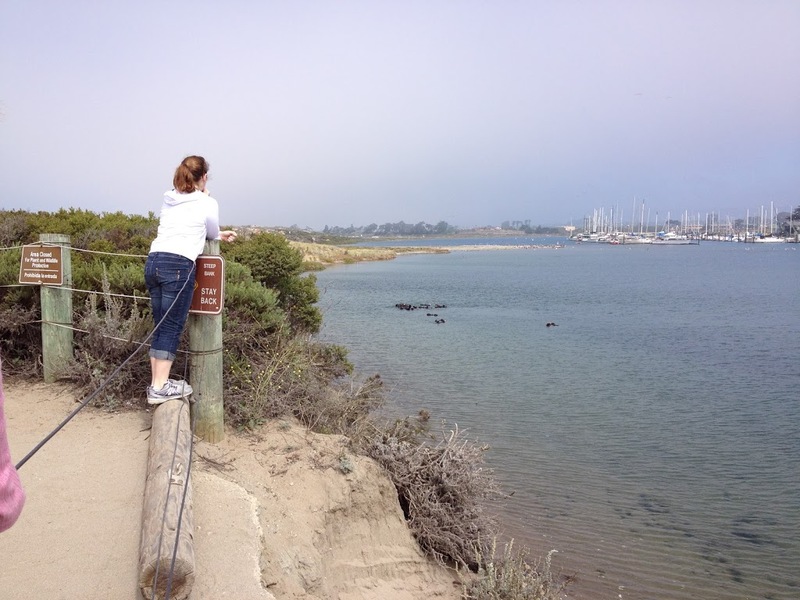 Living in Santa Cruz, a favorite hangout is Moss Landing, just a few miles down the road. 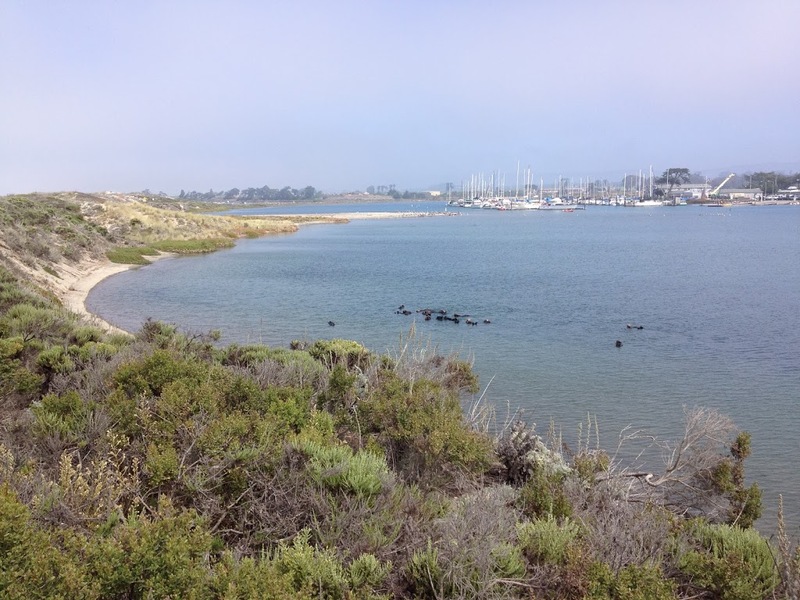 It’s a marine sanctuary (and part of the Monterey Bay) and there you’ll find so many birds, fish and animals you know you are someplace special. There the otters grow huge and they are hilarious as they spend their day eating, grooming and raising their families. But they are also in danger. So imagine my delight when I saw this awesome Kickstarter project on a local Facebook page: Otter 501. Your pledge will help the team continue their mission of environmental education. This is exactly the kind of outreach that has whet Katie’s interest in life sciences. Now that she’s in 8th grade, I can’t tell you how proud I am of her interest in the environment, biology and pursuing her education in a way that might lead to a career in research. I truly believe living in Santa Cruz County and having access to such amazing resources partly responsible. Please consider a pledge to this worthwhile cause. You only pledge what you can afford. I pledged $300 so I could get the presentation brought to Shoreline Middle School here in the Live Oak District. I want the message to reach as many kids as possible! I am hoping this Kickstarter Project is funded because I can’t wait to see this film with the kids from Shoreline. They are so fat and happy here in the harbor. We love watching them.